Buy Aakash/Pre-Order Ubislate 7 Now! The much awaited India’s ultra low cost Aakash tablet is finally here and is creating ripples all around. Datawind launched Ubislate7 in India, and the student version is named as the Aakash tablet. It offers a web delivery platform that enables quality and interactive knowledge over the internet. We covered the announcement of Aakash/Ubislate7 tablet before. As you might know,the Lower version aka ‘Aakash’ Tablet includes an Arm11 – 366Mhz Processor, 2100 mAh battery, Android 2.2 and Wifi connectivity at a price of just INR 2500/- . This has gone on sale now with orders being delivered within 7 days. Please note that the Cash On delivery option is also available. However, the higher version aka Ubislate 7, the higher end brother with a Cortex A8 – 700 Mhz processor, 3200 mAh battery, Android 2.3 along with WiFI and GPRS + with a SIM slot will go on sale for just Rs. 499 more at INR 2999/-. It comes with a headphone/mic plus integrated speaker. We will recommend you to wait for the higher end one since 366 MHz is really a deal-breaking feature. Plus, the Sim slot is a must seeing the excellent(!) wifi conditions in India. Is Aakash really the world’s cheapest tablet? Well, can’t wait for the much awaited CyanogenMod 7 nightlies? Courtesy to guys at XDA, here is an Android App & an AutoIT script for windows which checks whether the nightly has been posted at CM7 site under the device name cooper or not. So choose any of the method below so that you’re first to know about the nightly. Copy the code below & compile it using AutoIT. 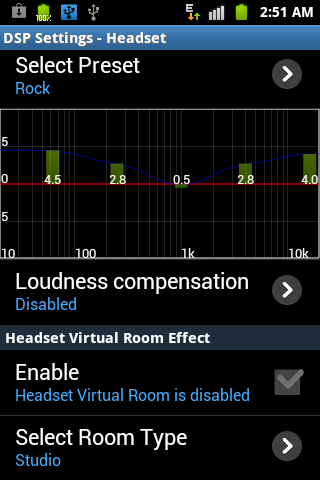 One of the greatest feature of the CyanogenMod is the app DSP Manager contained within. You can install this app on any ROM on any phone. 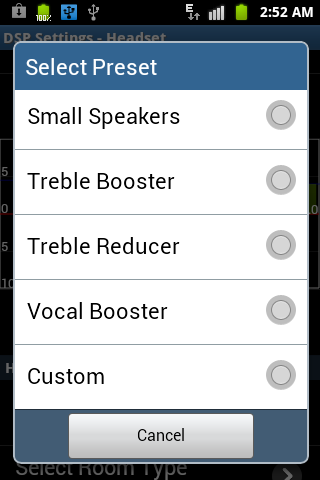 Gives enhanced sound processing capabilities. 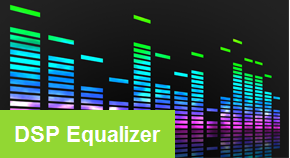 A simple application called DSPManager is provided to adjust the new audio parameters such as bass boost, 5 band equalizer, virtual room effect for all system audio. The latest edition of Android, version 4.0, aka Ice Cream Sandwich has quite some stuff that will blow you away. 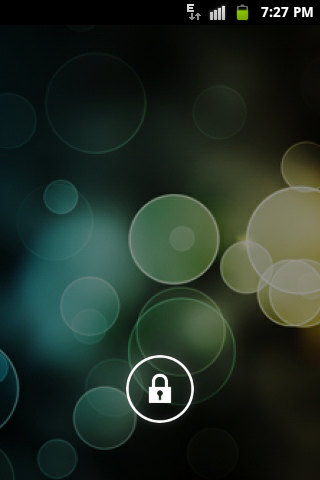 The first & foremost feature one will notice in an Android 4 device is its Lockscreen. Its has a clean minimal look and even takes you to swipe less area (almost half) to unlock than previous iterations of Android. The little animation that invites & hints to unlock is novel & looks beautiful. The Android platform doesn’t support Video calling over 3G network natively on Froyo. So what to do with the secondary camera of A70. The Micromax A70 can make Video calls using an app called ‘Fring’. Fring is a very popular app available for many platforms. Group Video Chat with 4 friends video chat at the same time! The V6 Supercharger Script is an excellent tool to fix memory management on Android 2.3, just because the Android OS is very aggressive in memory management. Because we have only 180 MB of RAM and Android 2.3 is very aggressive on memory management, closing any application that is in the background, such as music player, streaming music, to let free RAM. But in practice this does not happen very well. With this script, you will be able to browse the Internet using any browser with multiple tabs opened and listening to music or play games listening to your favorite music, without closing the applications and Widgets in the background. This is also good for those with Widgets that need to be running in the background to be refreshed, such as Gmail Notifier, Digital Clock Widget and Extended Controls. The V6 Supercharger Script is an excellent tool to fix memory management on Android 2.3, just because the Gingerbread is very aggressive in memory management. Note: If you already have CF-root Kernel or a Custom Rom containing CF-root kernel, do not touch your busybox. Yes, you heard us right. 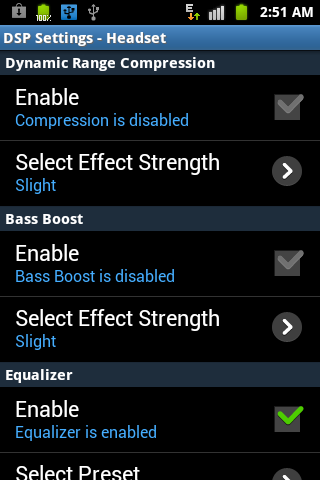 You can apply a custom theme to android phone without even rooting & deodexing your firmware. This method is a dream for those who are on stock Android and want to customize the look of their phones. Important: We are going to be honest with you. This method requires experimentation. So you mightn’t get it working on the first try. It might even result in a bootloop. Don’t worry just flash your firmware again via CWM or ODIN. So it will be a good idea to keep a copy of your installed firmware ready & the method to flash it. This method, in any way possible, can not brick your phone. This method applies to both Froyo and Gingerbread. On Froyo, you might have to rename ‘UOT .zip’ file to ‘update.zip’. Important: We are going to be honest with you. This method requires experimentation. So you mightn’t get it working on the first try. It might even result in a bootloop. Don’t worry just flash your firmware again via CWM or any other method you prefer. So it will be a good idea to keep a copy of your installed firmware ready & the method to flash it. This method, in any way possible, can not brick your phone. This method applies to both Froyo and Gingerbread. Will Micromax A70 ever run Gingerbread ? While Gingerbread has not been announced officially by Micromax, but there are many people claiming that it is possible. Bharat @igyaan mentioned on his site a month ago that it is possible & infact quite easy. But no further update has been there ever since. Since A70 is quite close default android, GB will come sooner or later to this phone. What matters is a dedicated & motivated enough dev. Froyo is a very stable version of Android & GB doesn’t offers much new features than Froyo. But still acess to GB will unlock many opportunities for devs. Also it will result in accelerated development & fantastic Custom Roms..!! We will update you if we hear anything about it!! Keep an eye on this post.